During the renourishment project construction operations will proceed around the clock and on average eill move along the shore at about 200 to 300 feet per day. About 1,000 feet of beach access will only be restricted per day and the majority of area beaches will still be open for use. The U.S. Army Corps of Engineers, Charleston District, recently awarded a $26.3 million contract for the Myrtle Beach Storm Damage Reduction Project to Great Lakes Dredge and Dock Company, LLC, which will place approximately 1.2 million cubic yards of material on Beaches from North Myrtle Beach to Surfside Beach, including Garden City Beach. This project is funded through federal emergency beach rehabilitation funding from Hurricane Matthew, along with cost-shared construction funding appropriated through Congress. 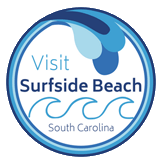 The construction will begin near Surfside Beach Pier no earlier than July 15th and work north toward Myrtle Beach State Park. This is estimated to take 25-35 days barring any significant weather or mechanical delays. After that section is complete, renourishment will then move south from the Surfside Beach Pier toward the southern project boundary in Georgetown County. This section is estimated to take an additional 30-35 days and should be complete by mid-September. The Corps will be placing approximately 800,000 cubic yards of material on approximately 7.5 miles of Garden City Beach and Surfside Beach. 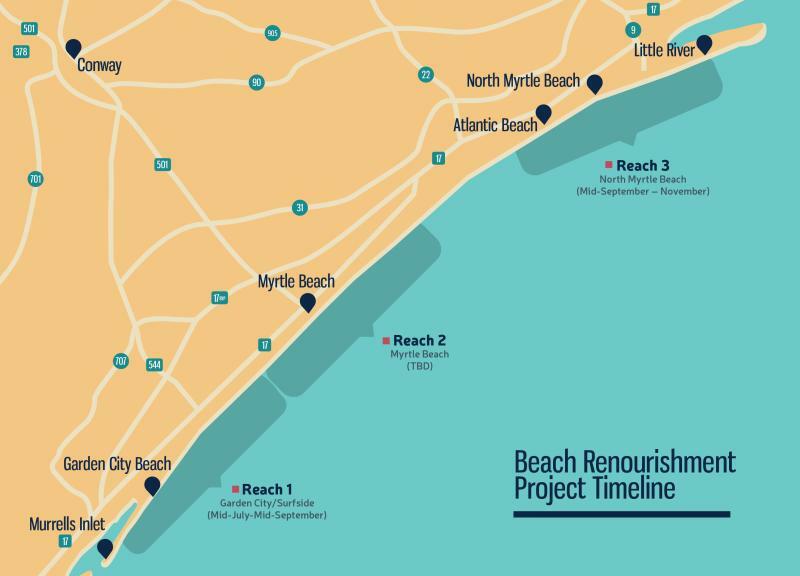 "Both the Corps and our non-federal sponsors for this project, the City of North Myrtle Beach and Horry County, acknowledge that construction during the summer will cause temporary inconveniences to people using these stretches of beach for recreation,” said Wes Wilson, project manager. "However, beginning the construction project now enables the major, long-term benefits of protecting people and property from storm damage to be realized as soon as possible." A beach renourishment is necessary every seven to 10 years, depending on weather conditions and storms passing through the area. Horry County's last beach renourishment was in 2008.